Sunday, July 8, 4:00 p.m. Originally published as an adult novel, but now in YA for the first time, Sunshine is an alluring and captivating vampire story--one that will ensnare fans of paranormals everywhere. Email Lisa Rose, cyberpaws@mac.com, for location. Robin McKinley's book Pegasus was available from LibraryThing Early Reviewers. 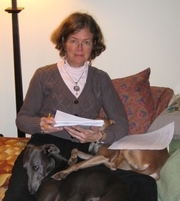 Robin McKinley is currently considered a "single author." If one or more works are by a distinct, homonymous authors, go ahead and split the author. Robin McKinley is composed of 11 names. You can examine and separate out names.